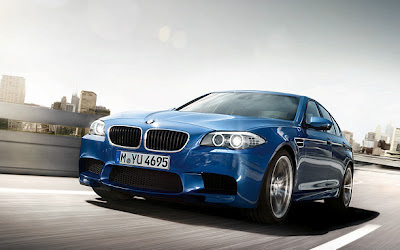 Carnation Auto Blog: BMW M5 Car - Perfection & Beauty With A Super Hot Figure! 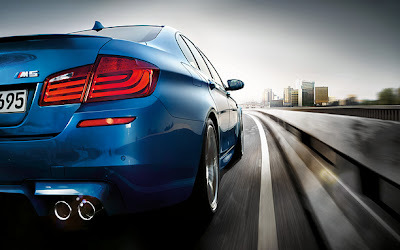 BMW M5 Car - Perfection & Beauty With A Super Hot Figure! For most of us beauty is defined by perfection. The same is true for cars. Beautiful looking cars are usually perfectly engineered and their aesthetics are just a matter of paintwork and certain design elements. Take for example the Jaguar XKR, the Mercedes E 63 AMG, or the Audi S8...these are bold, different, sleek and beautiful cars. Everyone dreams of owning one of them. Well at least I do...!! 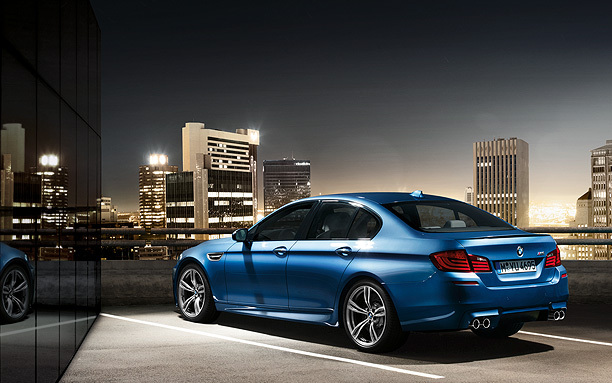 And now, I think we can also add the BMW M5 to that list. The perfect marriage of form & function, the newly launched BMW M5 belongs to the BMW M series of cars that are - stunning works of art! Call it a sports car or a saloon, the car fits perfectly in both categories. Fortunately for us, this super hot sports car is not just about looks. It packs a solid punch, mightier than Mohammad Ali's, at 554BHP! The light alloy wheels, rear diffuser, and its aerodynamic shape further ensure its a mean machine that provides excellent entertainment and thrill at the press of the throttle. The BMW M5 is huffing and chuffing excellence! All you petrol heads, that's all you need to know about my verdict on the awesomeness of this BMW saloon. Perhaps the most powerful BMW so far, the M5 has twin turbo 4.4-litre engine that is not just a work horse, but as responsive as a naturally aspirated one! Wonders of wonders...the German car manufacturer has gone to great lengths to ensure that the M5 is the pugilist out there on the road, no matter who the opponent or what the condition. 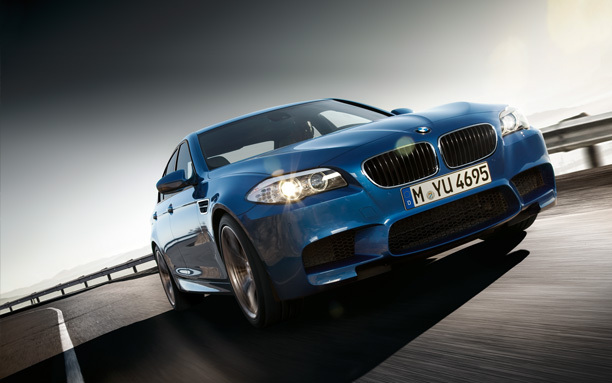 With some fantastic stats, these features of BMW M5 are better listed than woven into the fabric of words. So, take it straight from me, right here...right now! The engine, as mentioned is V8 turbo charged engine in the BMW M5. It delivers a impressive 554bhp @ 6,000 – 7,000 rpm as well as 502 l-ft peak torque from 1,500 rpm. 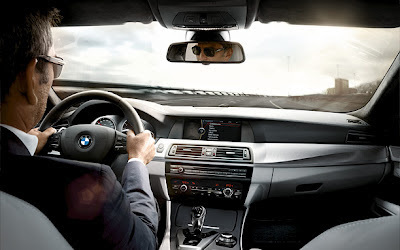 Steering wheel buttons can operate audio, telephone, and cruise control system, 2-M Drive setting (M2 for sporty & M1 for comfort configuration) functions. Phew! Phew! Germans, they really know how to tempt people! While the car can talk for itself, what I really want to say is that by its features and technology alone, the BMW M5 and pulverize sports cars even with a load of four! If you want to burn some rubber seriously, this supercar is what you need to have in your garage.